This is a recipe for a yeast-based bread. This gives the finished loaf some of the characteristics of bread made with sourdough starter. It is made in two steps: first a "biga" (pre-dough) is made. This is then used in the bread dough. It takes about 2 days to make this bread! You may want to wear short sleeves when making this bread. This takes about 6-8 minutes. Alternatively: scrape dough onto a lightly floured board, and knead by hand until smooth & elastic, but still sticky (takes about 7 - 10 minutes). If the mixer is laboring or the dough feels stiff, add water, 1 tablespoon at a time, and continue kneading until soft & elastic. If the dough sticks to the sides of the bowl or is too sticky to knead by hand, add more flour, 2 tablespoons at a time, until it pulls cleanly from the sides or feels only slightly sticky. Cover bowl with plastic wrap and let rise again until doubles (1 - 1½ hours). For more flavor, use a slow rise: chill at least 8 - 12 hours, then let come to room temperature for about 3 hours. 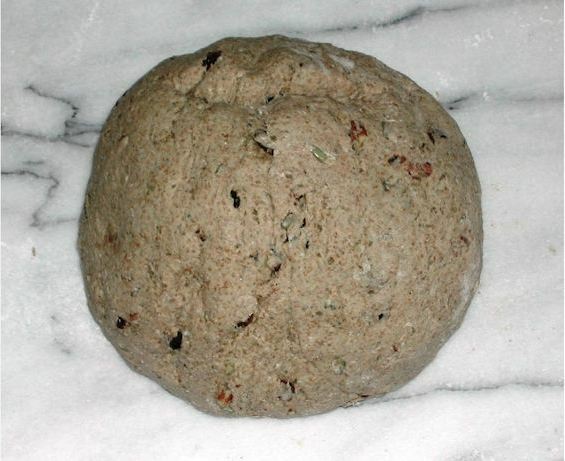 Scrape the dough onto a well-floured board and knead briefly to expel air. Divide into two equal-size parts. With lightly floured hands, gather each half into a ball, then stretch and tuck the edges under, to shape into a smooth oval with slightly tapered ends (about 8 inch (20 cm) long and 4 inch (10 cm) wide in the center). proof the dough by gently pressing one loaf: your finger should leave a distinct imprint that slowly fills in. Over-proofed loaves feel flabby and offer little resistance when pressed. Sprinkle a 13x17 inch (35x45 cm) baking sheet generously with cornmeal. 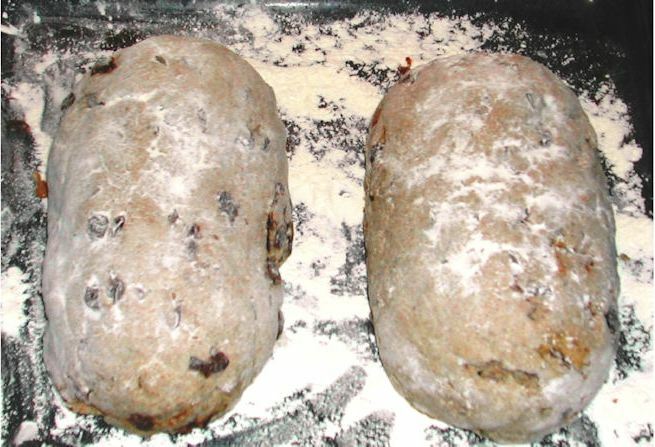 Transfer the loaves, one at a time, to the sheet, spacing them 2-3 inches (5-8 cm) apart. With a sharp knife, make 3 diagonal slashes across the loaf tops that are 1 inch (2-3 cm) deep and 1 - 2 inches (3-5 cm) apart. Spray 3-4 squirts of clean water on the floor or sides of the oven, taking care not to spray on/near the heating elements or light bulb, then quickly close the door. The resulting steam prevents the crust from forming before the loaf has fully expanded and contributes to the final thick hard crust; alternatively, you can try with a loaf pan with water on the bottom of the oven. Transfer the loaves to a rack to cool for at least 1 hour. Store in paper bags at room temperature up to 2 days.